Dr. Laura Flynn graduated from the Canadian Memorial Chiropractic College (CMCC) in 2011. Prior to CMCC she attended St. Francis Xavier University graduating with a Bachelor of Science in Human Kinetics with a Minor in Health Sciences. 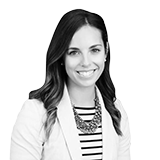 Dr. Jillian Babin-Keough is originally from Dalhousie, New Brunswick and completed her Bachelor of Science in Kinesiology degree at the University of New Brunswick. Always knowing she wanted to pursue a career in healthcare, she became inspired to become a chiropractor. Julie graduated with honours from the Bachelor of Science program at the University of New Brunswick. She continued to pursue her interest in the health sciences by completing a four-year postgraduate professional program at the Canadian College of Naturopathic Medicine. Kelly Davis graduated with honours from the Atlantic College of Therapeutic Massage in 2010. Following graduation she began practicing at a busy clinic where she focused on honing in and diversifying her techniques while growing her clientele. Kelsey Blakely graduated from the Atlantic College of Therapeutic Massage in 2016. She joined the Body Renewal Health Centre team shortly after becoming registered. She recognizes no two clients are alike, and designs a treatment plan. 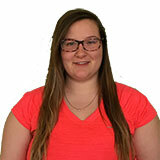 Kaitlyn is a recent 2016 graduate of the Massage Therapy program at Eastern College. She is a moderate to deep therapist, but able to adjust to every individual clients needs. Kaitlyn is very passionate about what she does.